Fantasy tales never seem to get old. They have a way of tapping into our imaginations and staying there, offering stories that are just as outlandish as they are exciting. 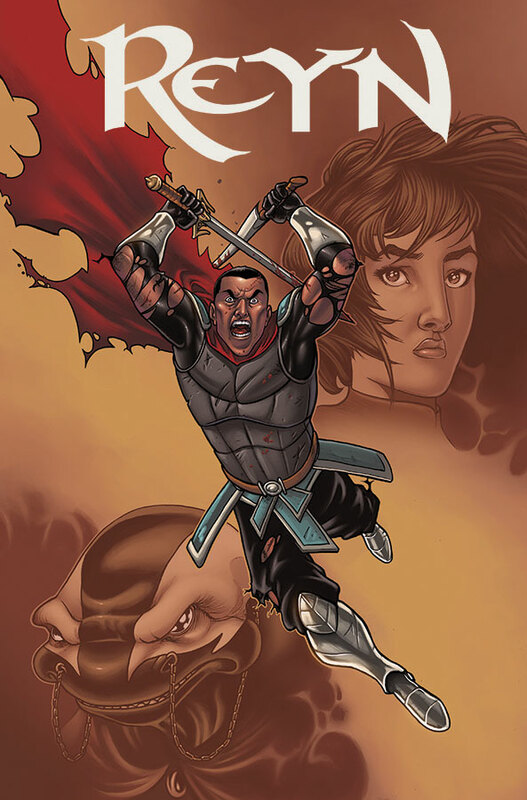 The sword and sorcery genre is a great facet of fantasy tales and in January, Kel Symons and Nathan Stockman visit that well for an all-new series in Reyn #1, a sweeping fantasy following two unlikely adventurers on the path to uncovering the mysteries that surround their destinies. Reyn #1 (Diamond Code NOV140564) is in stores on January 21. Full press release below. Fan favorite Kel Symons (THE MERCENARY SEA, I LOVE TROUBLE) teams up with Nathan Stockman (I LOVE TROUBLE) for an all new series in REYN, a sweeping fantasy following two unlikely adventurers on the path to uncovering the mysteries that surround their destinies. The journey begins with REYN #1 (Diamond Code NOV140564), in stores on 1/21.